Lois L. Paulmann, age 81, of W. James Drive, Port Washington died Tuesday, February 26, 2013 at Heritage Health and Rehabilitation Center in Port Washington where she had resided recently. She was born on October 18, 1931 in Milwaukee, daughter of Harry and Rose Kraemer Liebner. On September 9, 1950 she married Howard E. Paulmann in Milwaukee. He preceded her in death on January 1, 1992. She and her husband raised their family in Milwaukee. In 1965 they moved to Port Washington. Over the years, Lois had worked at the former Sears store, Gambles Hardware, Accurate TV and Arby’s, all in Port Washington. 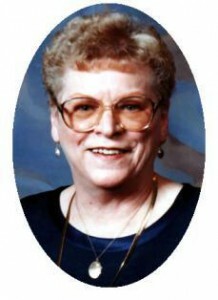 She had been an active member of the Port Washington Woman’s Club and a volunteer at the Peeble House. She enjoyed cardinals and lighthouses. She is survived by her daughters Chris (Gary) Drasch of Port Washington and Cheryl Schultz of Green Bay, grandchildren Jennifer (Dave) Drasch-Gerard of Green Bay, Andrew Drasch of Wyoming and Angela (Troy Lardinois) Schultz of Green Bay, great-grandchildren Erin Gerard and Logan, Leia and Quintin Lardinois, her sister Marjorie Peterson of Cudahy, her brother Gene (MaryAnn) Liebner of Florida, other relatives and friends. She is preceded in death by her husband and her sister Joanne Firle. Memorial services will be at Noon Saturday, March 2, 2013 at First Congregational Church, 131 N. Webster Street, Port Washington. Reverend Jeff Suddendorf will officiate. Family will receive friends from 10AM-Noon Saturday AT CHURCH. Memorials to the Church or Heartland Hospice, 1233 N Mayfair Rd., Ste 100, Milwaukee, WI 53226 appreciated.